When it comes to the overall convenience and comfort your State College home is able to provide to you and your family, water heaters are a very important of the equation, and as such, it is important to have the name of a professional plumbing company you can call in the event that anything goes wrong with yours. Here at The Best HVAC, we are a professional Centre County HVAC company who is dedicated to helping homeowners maximize comfort and convenience in their homes, which makes us the company to call for any and all issues that you might be experiencing with your home's water heater. Has your home's water heater been having trouble keeping up with your hot water demands lately? If so, give our team of professionals a call today and let us provide you with the high quality water heater services you need to get your system up and running again like normal. Here at The Best HVAC, our team of fully licensed, insured, and experienced water heater service pros are ready to help you tackle any and all of your water heater service needs, no matter how simple or complex they might be. When it comes to water heaters, we know how to get the job done, and get it done right the first time around so you and your family don't have to go without a steady supply of hot water for a minute longer than necessary. If you have any questions about our full line of high quality water heater services, or if you would like to schedule an appointment for consultation with one of our specialists, give us a call today. Our team of experts are always standing by and would happy to assist you. 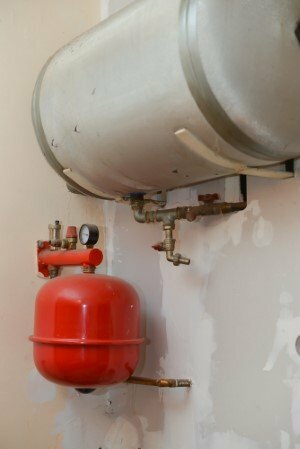 Your home's water heater, like just about every other mechanical device you can imagine, is going to have things break down and go wrong over time, and when they do, it is important to ensure your get your home's water heater the repairs it needs right away, otherwise you run the risk of letting the problem get worse until it causes permanent damage in your system. Here at The Best HVAC, our team of water heater repair specialists can provide you with the high quality repairs you need to keep your home's water heater running as efficiently and effectively as possible, giving you the steady supply of hot water you need, as well as helping to extend the lifespan of your system. If your home's old water heater system seems to struggle to keep up with you and your family's demand for hot water, or you are just looking for a more efficient way to bring hot water into your home, it might be worth looking into a brand new tankless water heater for your State College home. Tankless water heaters, like their name implies, don't heat and store hot water for later use in a large tank, but instead actively heat water as there is a demand for it in your home. The benefits of this type of system are twofold. Firstly, you are only paying for the power to heat water as there is a need for it, instead of having to pay the electricity costs needed to maintain a supply at all times in case there is a demand. Secondly, because your water is heated on demand, it means that you never have to worry about running out.